This was the damning conclusion reached by the Equality and Human Rights Committee (EHRC), after it asked over 1000 employers about their opinions on pregnancy and maternity discrimination. The survey showed that 36% of employers think it’s fair to ask female interviewees about their plans to have children. Almost half think it’s fine to ask applicants if they already have children. It seems that a lot of employers don’t realise there are some things you just can’t ask someone during an interview. Why can’t I ask anything I like? Because if you reject a candidate after asking them questions related to protected characteristics, they could claim that you put them at a disadvantage and take you to an employment tribunal. Let’s say you ask a candidate if she plans on having children in the next six months and she says yes. If you then give the job to someone else, she could accuse you of rejecting her because you didn’t want an employee going off on maternity leave soon after they’ve joined. What other questions are unacceptable? Questions about health may be acceptable if the role requires the candidate to be in good physical shape. You’ll need to provide solid evidence for this, though. If the interviewee is chatty, it can be easy to go off on tangents that aren’t related to the role in question. One minute you’re going through their CV, and the next you’re discussing your mutual love for the latest Netflix drama. 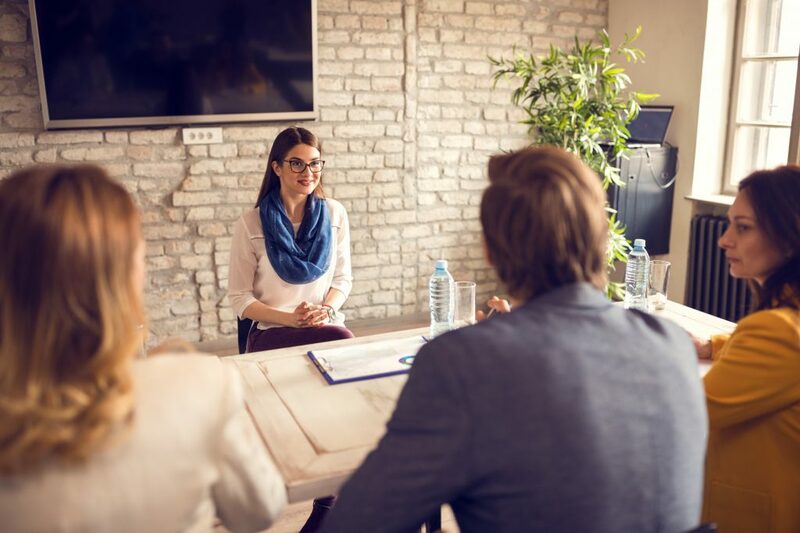 While it’s fine to be informal, don’t forget why you’re there—to find out whether the candidate has the right skills, experience and attitude for the job. The law states that you must remove any barriers that disabled candidates may face during the interview. It’s a good idea to ask the candidate about any requirements they have before the interview takes place. For example, if you know that the candidate uses a wheelchair, make sure you hold the interview in an accessible room. If you ask candidates to complete a written test but they aren’t able to, you could allow them to do a spoken version instead. We all judge people—it’s human nature. But if you interview a candidate by yourself, your subjective feelings could lead to a discrimination claim. Having two or more interviewers makes things more objective. It also makes it easier to be thorough. Your colleague might remember to ask a question that you’d forgotten about. And if two people come to the same conclusion independently, it’s likely to be true. Portfolio is a market leading recruitment consultancy focusing in 4 Specialist areas including Payroll, HR & Reward, Credit Control and Procurement recruiting for professionals at all levels of the market, across the whole of the UK and into a multitude of Industry Sectors. Established for 29 years, they have a wealth of experience in the industry and an amazing record of accomplishment to suit.